There are many ways to extract the apk file from an Android Device. Some of them are as simple as copy-pasting a URL, while others require you to root your smartphone. But, why take a difficult route when there are simpler ones, right? So here are five simple ways to extract apk files from your Android smartphone and tablet. But before we start, let us first understand the basics. What is an APK file? Android application package file (or .apk in short) is a format we use to distribute software to Android. In simple words, apk is the program installer for Android. Just like what .exe is for Windows and .dmg for MacOS. However, when you install any app from Play Store, you don’t see the actual apk file. Instead, the Play Store will do the installation internally without giving you access to the actual apk file. Much like installing apps from the App Store on macOS or Windows store on PC. But, if you install apps from outside Google Play Store, you’ll need the apk file. 1. 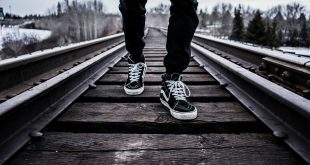 Transfer apps to other Android devices that have no internet connectivity. 2. Take a backup of your favorite apps and store it on your computer. 3. Saving phone memory by taking backup of less used apps. Whenever you want to use the app all you have to do is install them on your device. Once you are done using, you can uninstall the app. 4. Installing apps that are not available on Google Play. For instance, most Android tablets can run WhatsApp without any hitch. But you cannot download it from Play Store. Therefore, you have to install such apps directly using an apk file. The same is applicable to geo-restricted apps. The logic is simple — take backup of the apps. Now, by backup, I don’t mean to take a full backup (which also includes the app data) rather a regular backup, which will only include the apk file. Alternatively, you can also download apk from third party sources. We’ll cover both methods here. This is the most popular way of taking backups. And the best thing about the Android Assistance app is that it uses very few system resources and the file size is just 1 MB. So, here is how it works. Install Android Assistance app from Google Play Store and open it. Next, go to Tools > Backup and Restore. Now, tap on the checkbox next to the apps whose .apk you want to extract and then tap on the “Backup” option at the bottom. That’s it, it’ll start the backup process and stores all the APK in the SD card under Android Assistance App Backup folder. Use any file manager to navigate to this path. 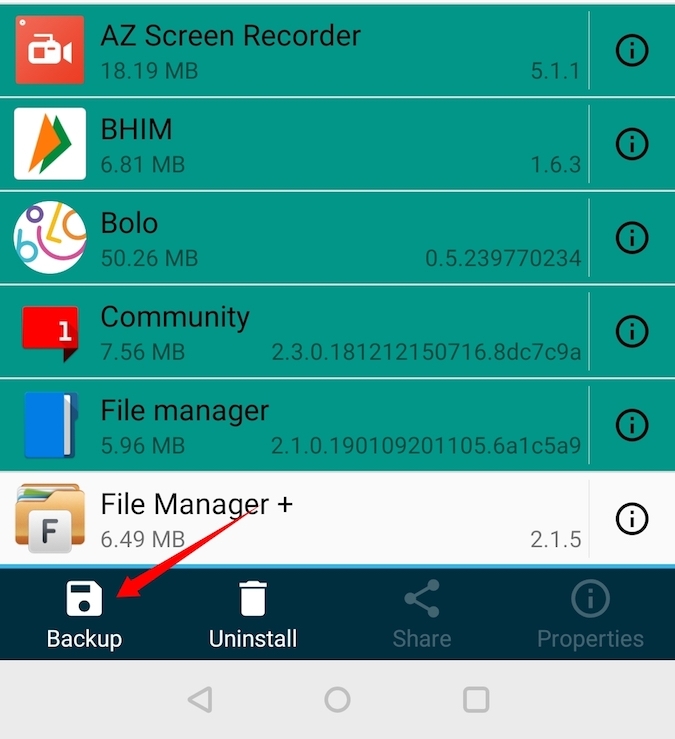 In Android you can easily backup all your apps using a free file manager app called File Explorer, a popular app to manage all your files and folders. If you haven’t already installed. Go ahead and download File Manager from Flashlight + Clock on Play Store. Once installed, launch it from the menu. In the main screen, tap on the option “Apps.” This is where all the apps will be listed by File Explorer. Now, tap and hold the app you want to backup. You can even select multiple apps if need be. After selecting, tap on the option “Backup” appearing at the bottom nav bar. 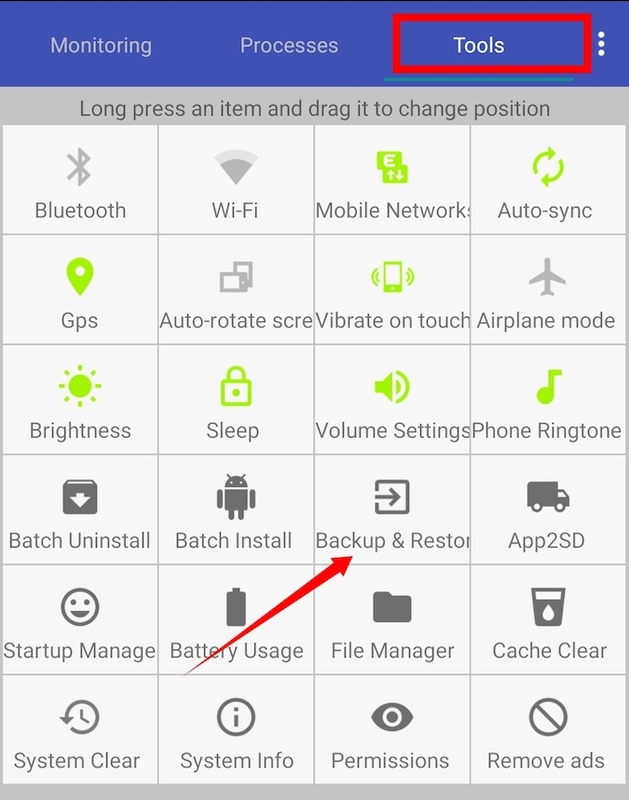 This action will backup the selected apps, tap on the option “Open” to see the backed up apps. This action will take you to the backup location on your Android device. 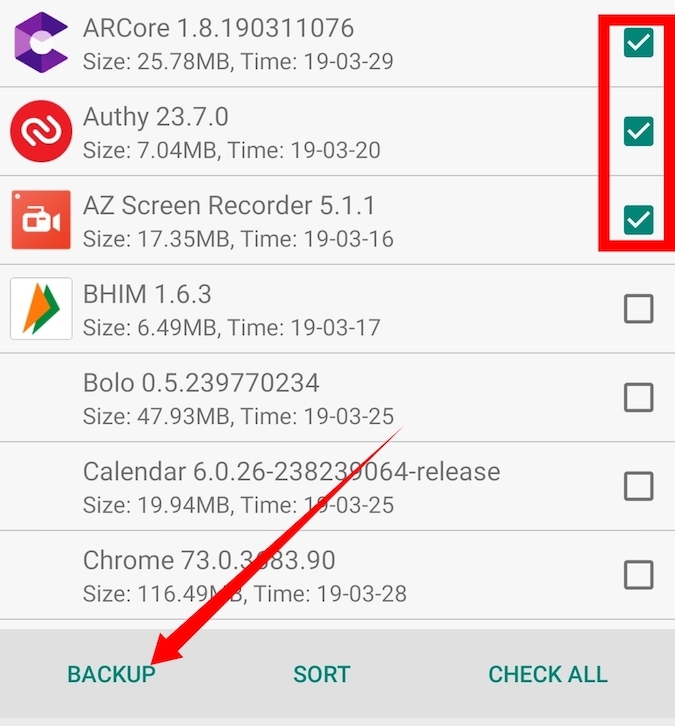 This is the best method if you want to store the apk on your computer. 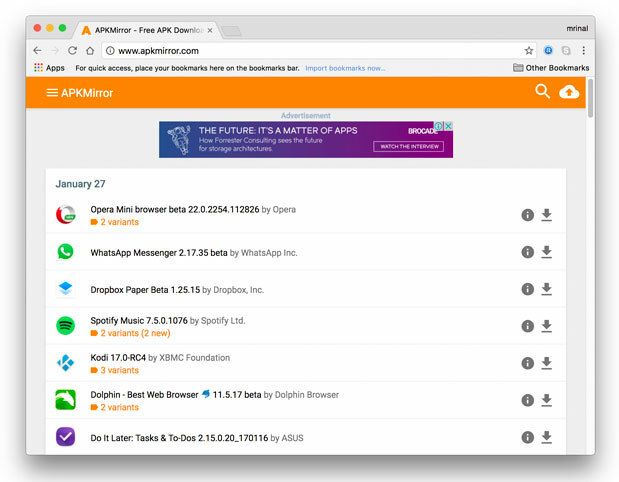 Since it’s a browser-based service, it is platform independent and works on all platforms like Windows, MacOS, Linux or anything else as long as you have a browser in it. 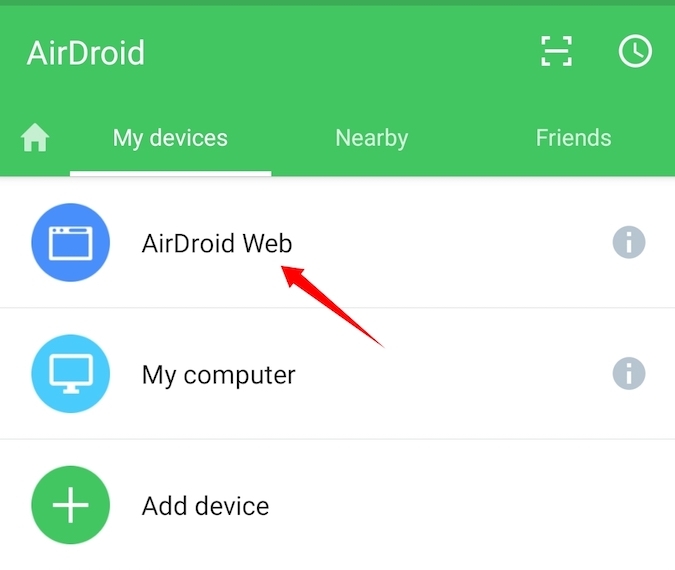 AirDroid is a free app that lets you manage your Android device using a computer’s browser. Other than that, you can also use it to take a backup of your installed apps. Start by installing AirDroid from Google Play Store. After installing, open the app. It will ask you to Sign in, this is optional both your computer and Android are connected to the same WiFi Network. Else you will have to create a free Airdroid account. For this instance, I’ve my phone and computer on the same network, so I’ll tap on Skip option on the top right to bypass the sign in process. Once done, give it all the necessary permission. 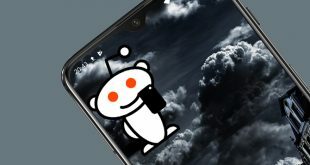 And follow the simple instructions to connect your Android device to the Computer’s browser. 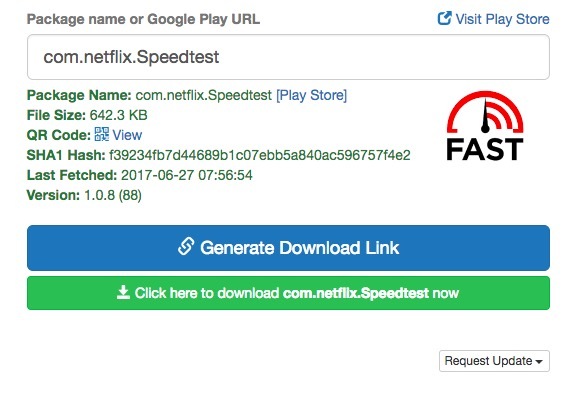 In general, if both your computer and Android are connected to the same WiFi network, you’ll see an IP address when you open the app. 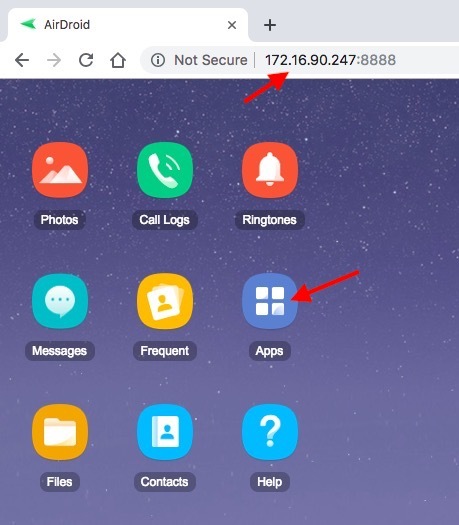 Type the displayed IP address in the computer’s address bar and press Enter to connect and open AirDrod on your computer. Once connected, click on the “Apps” icon, select all the apps you want to back up to your computer and click on the “Download” button. 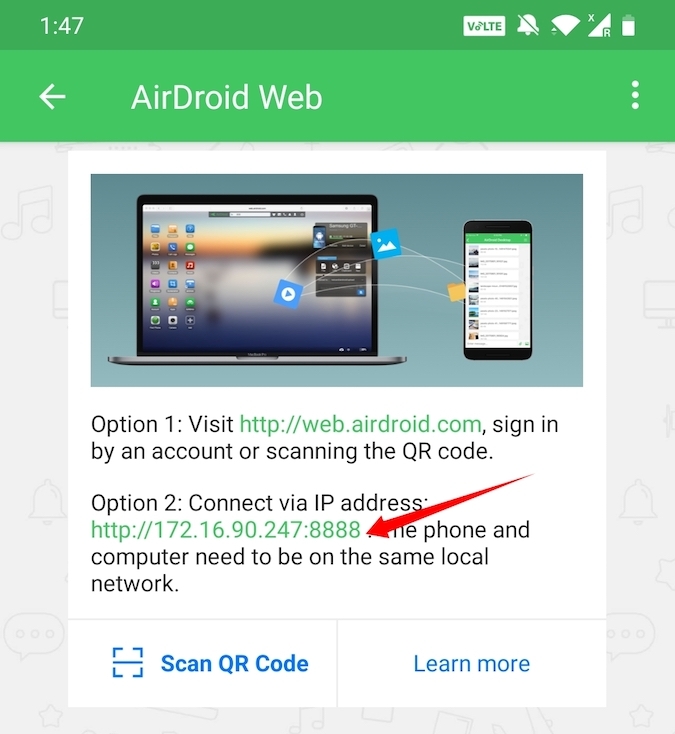 As soon as you click on the button, AirDroid will extract the apk files of all the selected apps and downloads them to your computer as a single zip file. That’s it. It is that simple to extract apk from an app using AirDroid. Unlike other methods on this list which extracts the apk files directly from the installed apps on your Android device, this method lets you extract the apk directly from the Google Play Store. As soon as you click on the button, the web app will fetch the apk file and gives you the download link. Just click on it to download the apk file. Since it is fetching the apk file directly from Play Store, you don’t have to worry about infected files. However, you may face some problems on the website due to annoying pop-up ads. But overall, I am using this online tool for months and it always works flawlessly. Well, guess what, if you need an apk, you don’t really have to extract it from the app. Chances are you can find that apk online. Just do a simple google search with the app name followed by “apk.” This method will save you some time if you need just one apk file. There are many online sources that bundle apk files of popular apps with malware. So, make sure you download the apk from only the legitimate sources. A good place to look will be sites like APKmirror. The good thing about these online repositories is that you can find any version of the app you want, even if is a 2-year-old one. If you have a rooted Android device, there is no need to download any third-party app to extract APK files. 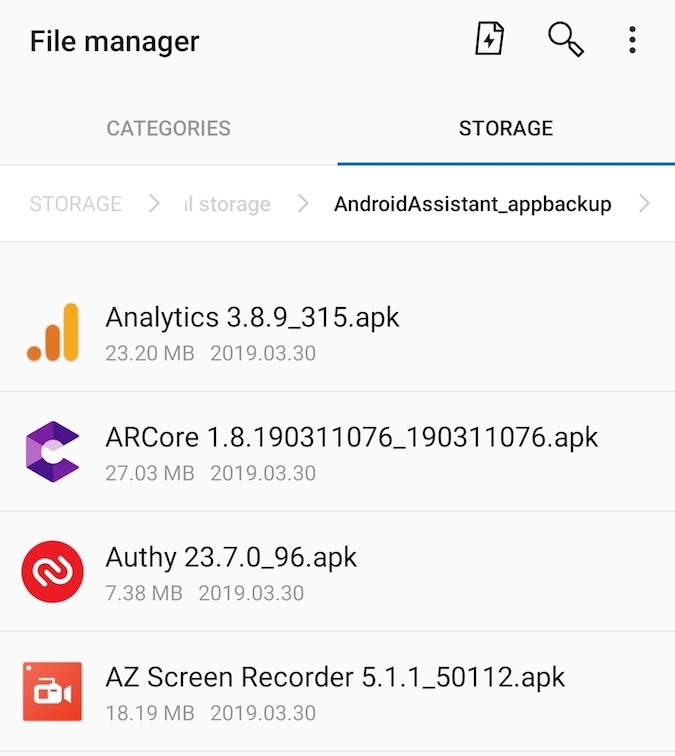 Simply open the File Manager on your Android, give it Root access and navigate to the following directory depending on what Android phone you have. Overall these were some of the best ways to extract apk from Android phone. 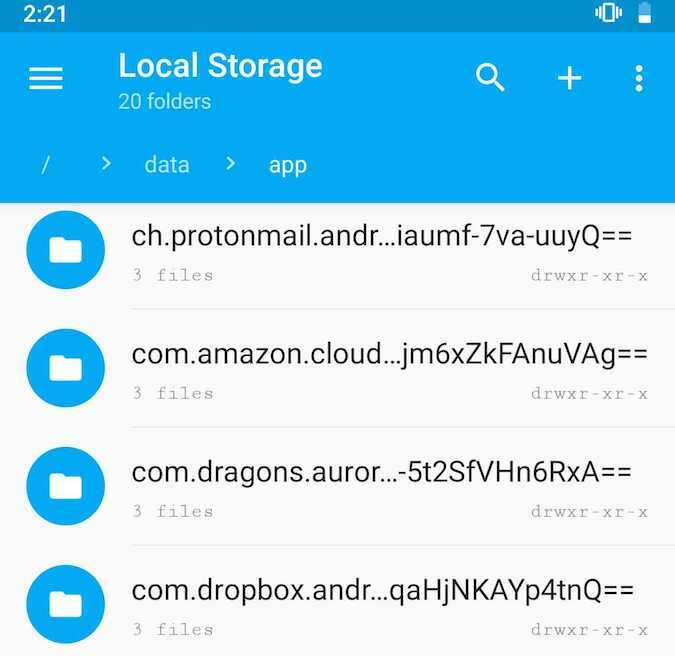 If you want to extract apk to your Android smartphone or tablet then use the file explorer method. 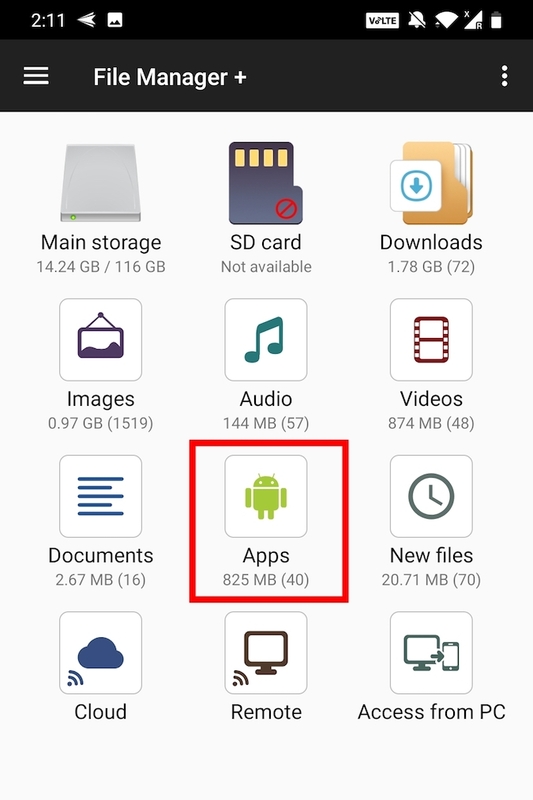 If you want to transfer the apk to a computer then use Airdroid. So, which is your favorite method to extract apk from Android phone? Share in the comments below.